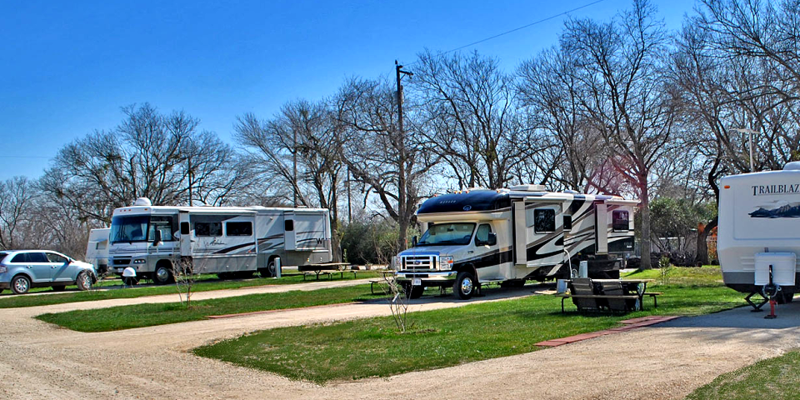 Hidden Valley RV Park is very close to the fun city of San Antonio, Texas but feels like country. The private Medio Creek for fishing, quiet nights and skies full of stars, the coyotes howling and the constant run by of the road runners made every day and evening special. Great hosts with helpful service and easy access to highway, stores and services. They have a brand new and always clean bath house and laundry. Many sites are large. Other amenities include FREE wifi, lots of walking roads and paths, a “Creekside Clubhouse” with TV room, exercise machines, library/game room, full kitchen and party patio and planned events during the winter season.